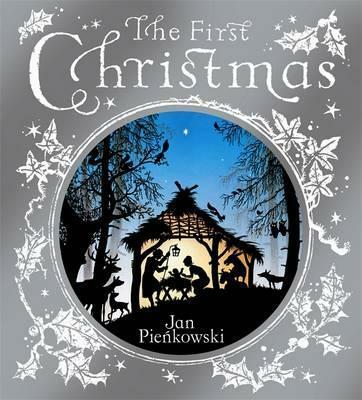 A beautiful rendition of the story of the First Christmas by Jan Pienkowski. Stunning silhouettes by Jan Pienkowski, the master of dramatic design, bring to life the story of the very first Christmas. With words from the King James bible, this is a truly classic and beautiful book to be treasured. This beautiful mini-hardback gift edition of a classic Christmas book makes the perfect gift and keepsake for any child at Christmas. Jan Pienkowski is a celebrated illustrator of children's books including the Meg and Mog series of picture books written by Helen Nicoll. He has won the Greenaway Medal twice for his illustration of Joan Aiken's The Kingdom Under the Seaand for Haunted House. Jan Lives in London.